With the ever-growing popularity of beards, it’s only natural that men need somewhere to go to make sure their facial hair is always looking great. 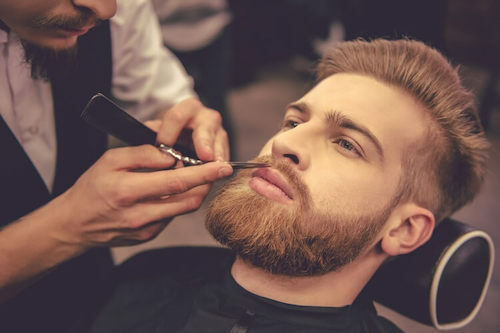 At State Street Barbers, we offer the luxurious services necessary to keep your beard looking its best so that you can feel confident, well-groomed, and clean. Why Get Your Beard Shaped at State Street Barbers? Everyone enjoys indulgence a little from time to time, and what better way to do so than getting your beard shaped and trimmed professionally. We provide beard shaping for men of all ages in Chicago, and we do so with a comfortable, safe electric razor to get a precise edge; however, if you prefer a wet shave razor line-up, we also offer that service at an extra charge. We want you to feel your best, and we’ll do whatever we can to make your beard look perfect. Have a special occasion coming up that you and your friends need to look excellent for? Don’t worry—at State Street Barbers, we’ve got you covered. Call today for a group reservation for men’s grooming, and you can enjoy a luxury shave while ensuring you’ll look picture perfect for the big day. Kick back in our relaxed chairs and let our team of professionals cater to you. 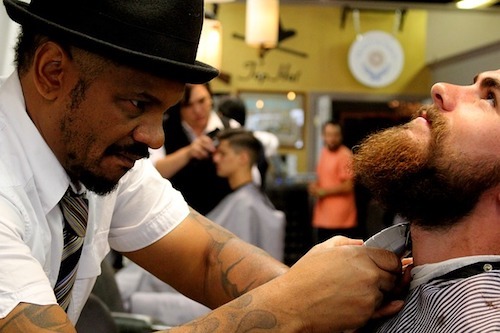 You take pride in your appearance, and at State Street Barbers, we’ll make sure your beard looks its best. At State Street Barbers, we believe that men should have access to haircut and beard services that make them look ready to take on just about anything, and our professionals see to it that your beard shaping experience is above all your expectations. Although you don’t need an appointment at State Street Barbers’ Chicago barbershops, it’s easy to set one up, and it ensures there’s a barber available when you come in. Simply book your appointment online or call one of our four locations today for beard trimming or bear shaping, and go home looking great.